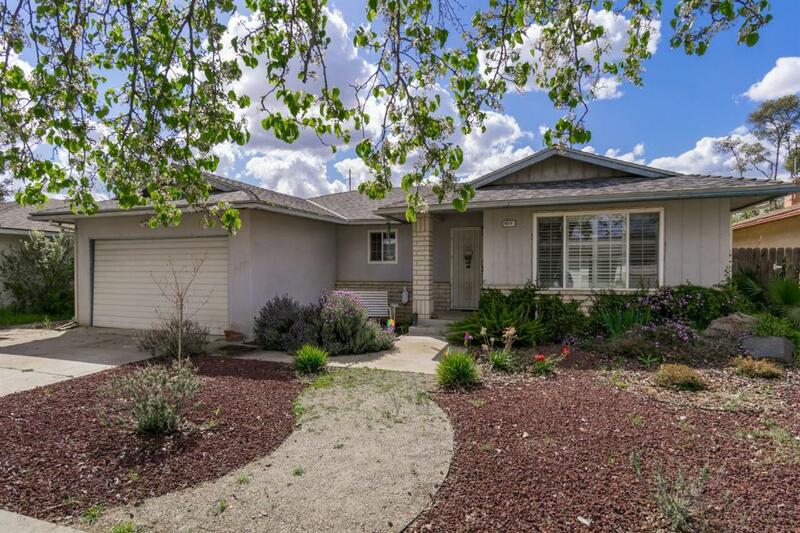 Check out this awesome Hallmark Home in a super quiet neighborhood North of Fresno State University! Well built and a great layouts are staples of these Hallmark homes, and this one has a few big ticket upgrades like newer dual pane windows and custom plantation shutters installed. Two large living areas and a generous sized laundry room are popular features of this particular model. This property has a nice sized backyard as well as a full two car garage, complete with a separate sub panel and 220 volt electrical hookups for equipment or an electric car charger. Clean homes like this rarely come up in this price range and is a great value in a fantastic area. This one should go quick at this price! Listing provided courtesy of Damon Barnett of Realty Concepts, Ltd.